PanelTalk magazine is the official journal of the New Zealand Collision Repair Association (CRA). The magazine, however, enjoys editorial independence from the CRA and is focused on reporting all relevant events and trends that affect the collision repair industry in New Zealand. The editor travels extensively and has great relationships with many overseas collision repair magazines to ensure that the content is as up to date and relevant as possible. 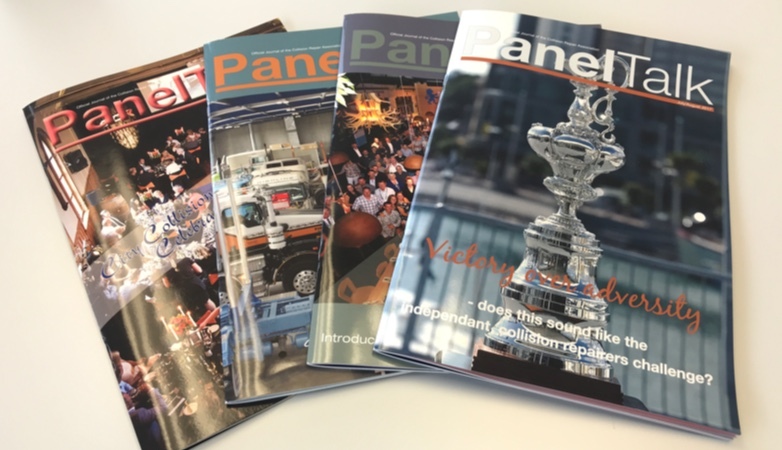 PanelTalk is, without doubt, the leading collision repair magazine in the country with a circulation of just under three thousand direct mailed copies of each issue. PanelTalk covers a wide range of topics of special interest to Panelbeaters, Spraypainters and Associated Tradespeople. The magazine provides an excellent opportunity for members of the trade to be kept informed on industry issues of importance to the Autobody repair and refinish industry, new products being introduced to the market, plus a chance to keep abreast with fellow repairers.